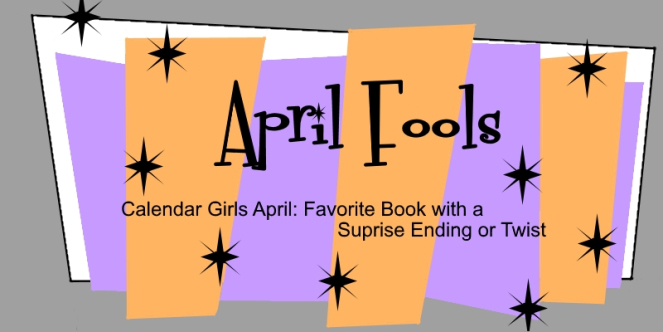 The Calendar Girls is a monthly blog event that was created by Melanie at MNBernard Books, and Flavia at Flavia the Bibliophile. 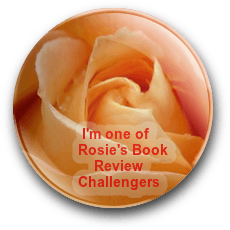 It was inspired by the 1961 classic song by Neil Sedaka and created to ignite fun bookish discussions among readers and bloggers. Each month we get a new theme and choose our favorite book for the theme. The participants get to vote for their favorite. Happy April Fool’s Day! I’ve certainly read my share of books with a surprise ending or twist. And I’m a confirmed fan – but I’ve read so many books that it’s kind of difficult to catch me off guard or to throw in a twist I didn’t see coming. That being said, some have succeeded, and when I learned the theme for April, three books immediately jumped to mind. 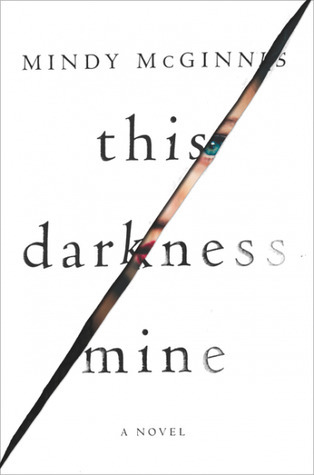 This Darkness Mine by Mindy McGinnis. I won’t say exactly what this character did that was so surprising, but trust me when I say it was completely unexpected and shocking. Upon meeting the author, I had to ask where she’d gotten the idea for it, and told her how much I loved the twist. 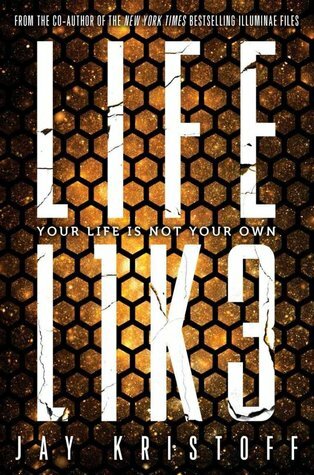 Lifel1k3 by Jay Kristoff. 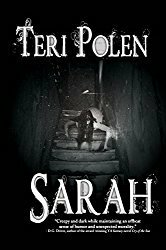 With the revelations and twists in the last part of this book, I felt like my head had been put in a blender and pureed. I never had an inkling – not a single clue of what was coming. And the sequel will be released soon! 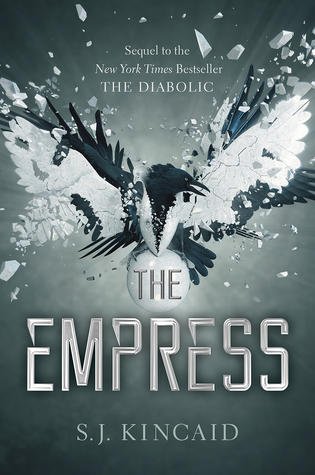 But the book I have to go with is The Empress by S.J. Kincaid. The twists in this book were soul-crushing and infuriating. I went through bouts of happiness, rage, frustration, hopelessness. It’s the first novel I’ve ever had to set down and walk away from for a period of time – my reaction was that strong. I read this book in 2017, and a part of my soul has died a little each day that I have to wait for the next book in the series – which is scheduled for sometime this summer. Maybe I’ll have a shred of soul left by then. They all sound great, but that last one sounds amazing! That book, Mae – what the author put those characters through – it’s really something. That next book can’t come soon enough. Not much surprises me anymore, either. I’m impressed that you could name three authors who managed it. I know, right? I read something recently about plot twists – name 25 things your character could do at a certain point. Cross off the first 22, and you’re getting into the good stuff. It was like an epiphany for me, Staci. I never hear that. It sounds like a great way to add a plot twist. I hear good things about Liffle 1k3. I should read it! It was such a good, gritty sci-fi story, Jina – part Mad Max, part Pacific Rim, with a wonderful supporting character named Lemon Fresh who stole nearly every scene she was in. I’m anxious for the second book. I thought it was a stand alone. I did too, at first. DEV1AT3 is listed for a May 2019 publication date on Goodreads – keeping my fingers crossed. Three fabulous books, Teri. Outlook keeps putting you in junk email, it is so annoying. At least you are there with Sue Vincent. At least I’m in good company, Robbie, lol! That does sound like a twisty read! Great choice! I think I have it on my tbr! I think you’d really enjoy this series, Adrienne. The first in the series is addictive, but the second one definitely doesn’t suffer from second book syndrome. Wow, now I want to read these! They were all such good reads, Jacquie. Anything Mindy McGinnis writes is amazing, and that was my second book by Kristoff. Think it was the third for Kincaid. Teriiiiiiii! Just slap me in the face for not featuring Lifel1k3 today!!! YOU ARE SO RIGHT! Grrr what did I think? I kind of expected you to, Sophie – I know you loved it as much as I did. Haha, maybe I’ll have a shred of soul left. That’s totally me at the end of pretty much anything, lol. GREAT PICK! Some of them just rip your heart out, don’t they? Wow! I have to add The Empress after hearing the impact it had on you. Excellent choices here, Teri. 😉 Will add them all. The Diabolic is the first book in the series, Jenn – make sure to grab that one first. Maybe you’ll get your heart shredded, too!